Graham Tuohey is a strategic planning consultant and facilitator with a wide background of involvement in the development of major projects. He has worked as a consultant to a wide range of Government and private sector organisations providing advice and leadership on a variety of projects. 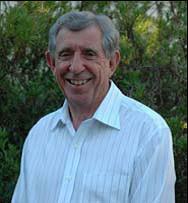 He has over thirty five years’ experience as a consultant and offers a proven blend of technical and commercial skills. These skills are based on a strong analytical approach to problem solving and an inherent ability to determine strategic directions. These skills allow the overview position to be retained, and enables him to contribute effectively to the clients and projects with which he is involved. His management experience and membership on a number of boards and committees have in turn provided him with broad experience in a variety of governance, management and commercial fields. Member, Road Research Unit of the National Roads Board of New Zealand. Deputy Chairman, Major Projects Advisory Group, New Zealand. Planning Hearings Commissioner for Rodney District Council, North Shore City Council, Auckland Regional Council, Tauranga District Council and Thames Coromandel Council.